Explore the first modern account of the reality of an extraordinary secret that has endured from the very threshold of history, the Fabled Lost World of Shangri-La. Depicted in the novel Lost Horizon (Hilton, 1933), the concept for Shangri-La was inspired by the accounts and descriptions of Shambhala that are so prevalent in the ancient wisdom traditions of cultures throughout the Himalayan regions of Asia and beyond. Scholars relate that the 4000 year-old scriptures of the pre-Tibetan Zhang Zhung culture are the earliest extant references to this mysterious realm, yet it is represented in a wide range of ancient texts: the pre-Buddhist B’on writings, the Kalki lore, the Puranas, in the earliest texts of the Kalachakra Laghutantra, and in the even more ancient Kalachakra Mulatantra (c. 900 BC). The Zhang Zhung and Tibetan scriptures refer to the hidden sanctuary as Shambhala I lam-yig, B’on treaties as Olmolungring, Hindu histories as Aryavarth, Chinese as Hsi Tien, and Russian traditions as Belovoyde. In the Western world, it has of course become best known as Shambhala, Shamballa, or Shangri-La. In an esoteric treatise composed in the early 1500s by Ensapa Lobsang Döndrup, the Third Panchen Lama describes his extraordinary visit to a land of wise masters hidden in the Himalayas. A rare manuscript written in 1592 by Antonio Monserrate, a Spanish missionary to the court of the Mughal emperor Akbar, speaks of his experiences in a remote valley in the high mountains where great sages reside. A remarkably similar account is found as recently as the late 1700s, written by the esteemed Sixth Panchen Lama, Lobsang Palden Yeshe. Our team at Wisdom Masters Press has worked diligently to compose a series of books based on Hawking’s records of his five years in a remote region of the Himalayas and the highlands of Tibet. This was a complex assignment; Hawking had accumulated over 14,000 pages of hand-written journal notes, along with another 4,500 pages of field notes, all of which had to be sorted, cataloged, and organized in a manner conducive to producing books from such a treasury of material. Yet it was a fascinating if formidable task, one which so often filled us with a deep sense of wonder and inspiration. We have published a book series, ‘In The Valley of Supreme Masters,’ covering the first several years Hawking spent in the Himalayas and Tibet, along with a number of companion volumes, each of which focuses on specific topical or experiential material. This book contains an anthology drawn from both the primary series and the companion volumes. These anthological narratives contain detailed accounts of Hawking’s various experiences and conversations, including first-hand accounts of the psychokinetic abilities he witnessed and in-depth descriptions of his discussions with the masters and sages, revealing the esoteric knowledge that made such extraordinary abilities possible. 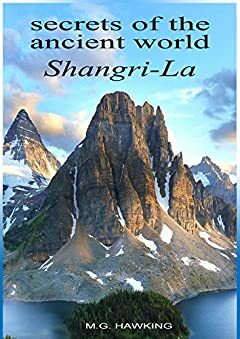 A truly incomparable book for anyone interested in greatly expanding their knowledge and personal power, and notably fascinating for anyone interested in exploring the realities underlying the ancient secret of Shangri-La, i.e., Shambhala. 2019 Edition, Kindle e-reader page count 257 (estimated, count varies with the reading device used). For more information, please see the ‘Look Inside’ feature on this page. Thank you.